Honey Boo Boo has yet again made it into the Presidential election campaign – this time with Vice President Joe Biden admitting to “catching snippets” of the TLC show on Air Force Two. Quizzed about his pop culture habits, gaffe-prone Joe Biden revealed his favorite television shows were Modern Family and Parks and Recreation in an interview with a Miami Radio station on Friday. But Joe Biden said he was well aware of the phenomenon that is Here Comes Honey Boo Boo after watching the program while travelling. “Beyond Modern Family and Parks and Recreation, that’s about it, those are ones that I spend most of my time [watching],” Joe Biden told 93.9 MIA radio. 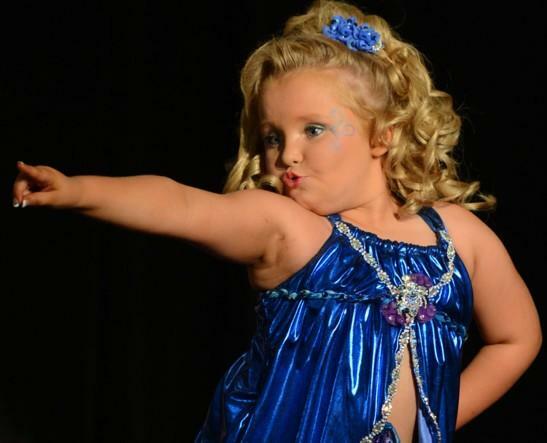 Alana Thompson aka Honey Boo Boo found fame as an unlikely beauty pageant favourite in the TV show Toddlers and Tiaras before landing her own reality TV show, Here Comes Honey Boo Boo.